This is a new feeling for me: my work in print, offering me resonances I couldn’t have seen when it was only alive in my own head. Asking me what, exactly, I was thinking. Once they’re out in the world, texts don’t belong to their author. They have a life of their own; they interact with the people and events that encounter them. And they are endlessly interpretable. This one is called What I Am Learning, Alone in the Desert Hills, published today in Issue 7 of The Pangolin Review. I’m suddenly meeting it in new ways, for a few different reasons. It’s been a hard day already – reporting from midafternoon. This morning I learned the news of a fatal mass-shooting in the city of Thousand Oaks, California, where I went to church and sang in choir as a teenager and a college student, where some of my friends live today, and others still have family. 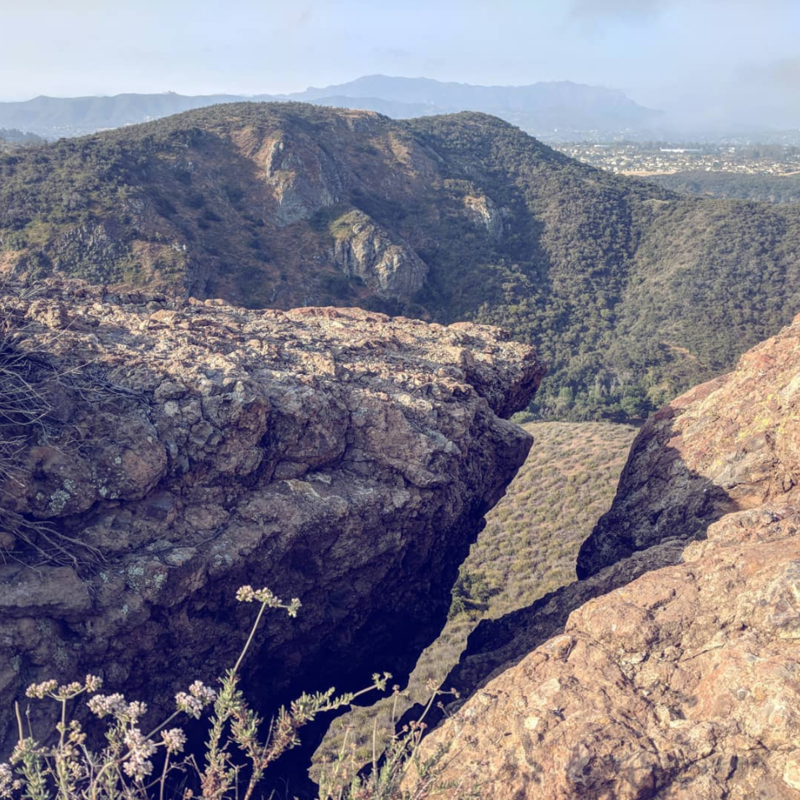 This poem was written at Wildwood, which is an area of deserty, hilly, chaparralish open land officially designated a regional park, and which I typically walk into from…Thousand Oaks. When PR released it this morning, I felt it, at first, as an accidental tribute. Another piece of news this morning hit no less close to home, just a different sense of “home.” Dr. Christine Blasey Ford, who testified before the nation that Supreme Court Justice then-nominee Brett Kavanaugh sexually assaulted her, is revealed to be fleeing regular threats to her person and family. She can’t go back to work. She has moved four times in the months since her testimony. She has had to hire private security. For the great crime of speaking her truth because she believed it to be the right thing to do, she continues to be hounded by hateful people. While the nation at large forgets her. This is what happens, over and over, to women who dare speak truth to power. I’m supposed to go to a rally today, in support of the ongoing investigation headed by Robert Mueller, which is newly threatened, yet again, by our 45th president. Right now I only want to curl up in my favorite chair in silence, preferably with the people I love somewhere close by. Sometimes that’s the right choice. Today, I AM going. My civic responsibility didn’t end with casting my ballot on Tuesday, and I am strong enough. In light of all this, when I re-read What I am Learning, Alone in the Desert Hills this morning, I didn’t know what to make of it. As a way of moving in the world, it presents quite a contrast to the way I am speaking and feeling today. It is also, particularly the last stanza, ambiguous in a way I did not foresee. I might have to re-shape this one; I’m not sure. I’m drawing no conclusions right now. Here’s the poem; what does it say to you? the color of the dawn.